The primary problem created by hydrophobic soils in gardens is reduced water/nutrient uptake and vigor in plants. So what can gardeners do to mitigate the condition? First, plants that are associated with higher water repellency can be avoided or removed. These include specimens that contain waxes, resins or aromatic oils high in lipids, such as eucalyptus or conifers. Second, coarse textured soils have demonstrated a greater affinity for water repellency than fine textured. Soils with a considerable content of clay and loam provide a more balanced advantage. Third, good watering methods and application of mulch can help prevent a complete drying of soil. On a broader scale, hydrophobic soils can create huge problems. Chemical runoff, flooding and erosion can occur in agricultural settings, forests, and additional plant communities. Many publications have been written about the correlation of higher hydrophobicity in areas following fire events, making landscapes particularly prone to flooding and erosion. Changes in drought, fire and rainstorm frequency and intensity make study of hydrophobic soils a priority in order to mitigate environmental damage. According to an article published in Planet Earth in 2007, “Evidence is mounting that soils can switch rapidly from a wettable to a hydrophobic state once their water content falls below a critical threshold”, and “that even a moderately hydrophobic soil can resist wetting for hours or even days.” It is possible to ease this condition, whether we are growing roses in the backyard or soybeans in the field, with proper horticultural methods. ​Many professional and home gardeners have likely encountered an annoying development during the dry, hot periods of summer. While sensibly giving our gardens a thorough watering, we occasionally see water pooling on the soil’s surface, running off in rivulets, and/or failing to penetrate into the root zones of our treasured plants. It seems counterintuitive that when our soils are driest, they resist absorption of water. This condition is called hydrophobicity. Soil particles are often coated with naturally occurring, water repellent, organic compounds that contain lipids. These compounds can be derived from decaying plant matter, fungi, and microorganisms. During cooler, wetter times of the year, there seems to be an understanding among the soil’s constituents that water will be accepted and utilized. However, when dry spells occur, the lipids may take precedence, and soils may repel water. The title of this article may seem a bit serious, but I like it, for the following is meant to address the ambiguity of the horticultural world. As many readers already know, Kalmiopsis leachiana is our Garden’s signature plant, perhaps the most notable legacy of John and Lilla Leach. The Leaches were credited with the scientific discovery of this species after collecting specimens on June 14, 1930, at Gold Basin in the Siskiyou Mountains of Curry County, OR. By 1932, the species had been named and renamed until receiving its final moniker, courtesy of Alfred Rehder of Harvard University. The Siskiyou Mountains were accepted as the only habitat of K. leachiana until 1954, when another population was located northeast of the Siskiyous in Douglas County, OR, along the North Umpqua River watershed. A party of plant enthusiasts, including Marcel Le Piniec and Warren Wilson, were credited with the discovery. Specimens were analyzed by Morton E. Peck of Willamette University in Salem. Peck identified them as K. leachiana. Human nature is predictable, and it’s no surprise that soon after the discovery and publication of the new species, attempts were made to grow and market them. Rehder acknowledged that the shrub would soon be introduced into cultivation, and expressed concern regarding its conservation. The Leaches wrote that numerous plant collectors and nursery growers gathered vast numbers of cuttings from the Siskiyous. Interestingly, they also reported that very few of the harvested plants survived in cultivation. This latter detail inspired me to write, because in my years of working at Leach, I have heard time and again that K. leachiana is very difficult to grow. When I began working here, I was shown a K. leachiana specimen that was labeled “Le Piniec form.” Its name represented that it was cultivated from the Umpqua population discovered by the Le Piniec party. Le Piniec and Wilson successfully propagated and marketed the Umpqua form. Our accession records do not indicate the wild source of the Garden’s Kalmiopsis specimens, but they list the names of the growers. 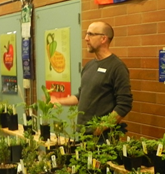 Each nursery I contacted reported that their plants were derived from stock originally collected in the Umpqua watershed, while one stated that they were unaware of the source. Late last year, I attempted to propagate cuttings from wild specimens collected in Umpqua country, with a decent rate of success. Evidence supports that the Umpqua form is the preferred (and likely ONLY) stock for growers. The authors’ conclusion has implications for the nursery industry and LBG. First, it suggests that most of the K. leachiana plants that have been marketed since its discovery are actually K. fragrans. Second, it requires LBG to present more accurate information. Several weeks ago, our Curator/Gardener, Courtney Vengarick, and I used taxonomic literature to determine the identity of each Kalmiopsis plant in the Garden. After considering numerous plant features, we concluded that all specimens are K. fragrans. Of course, we suspect others may some day analyze these plants and disagree. Have nurseries and gardens misrepresented themselves all these years? It’s a good question, but I think a fair answer was provided in my conversation with Thomas Kaye. In response to my question about whether he thought the plants propagated, sold and displayed over the years were actually K. leachiana, he answered, “Well, yes and no. Everything being sold before we made our conclusion was Kalmiopsis leachiana, and now we know differently.” These revelations offer another interesting chapter to our story, and may compel you to change the name of that attractive little shrub you’ve been growing on your property. Note: My research involved contacting additional faculty members at Oregon State University who have been involved in the study of Kalmiopsis. Included were Kenton Chambers, Daniel Luoma and Robert Meinke. All three were unable to provide insight about the percentage of K. fragrans sold as K. leachiana. The links that tie our Garden to the people of southern Oregon continue to be revealed, and last year I was very fortunate to experience some of what has made the story so rich. In mid-May of 2008 I drove to the Umpqua River, a trip that originated with a chance meeting in June 2005, when Executive Director Karen Young traveled to the Kalmiopsis Wilderness in SW Oregon for an organized day hike. Participants were there to see Kalmiopsis leachiana in bloom. Among them was Edson (Ed) Davis, a retired mill worker who lived in Brookings for over 50 years before settling in Glide with his wife, Opal. Karen invited him to visit LBG. In the summer of 2007, Ed and his daughter, Lenore, spent an afternoon touring our Garden. They invited us to visit, and from that moment I committed to the idea. Lenore had my dog and I jump in her old SUV, and we climbed a very steep dirt road to her family’s 61-acre property high above the river. I was captivated by it the moment we emerged from the forest. Named Restful Ridge, it is a lovely meadow abutting national forest. After Ed greeted me, I began to learn the features and legacy of their beloved property and its environs. In 1949, Ed’s parents, Helen and Wes, bought the property and built a two-story cabin and several other structures. A simple trail connected the property to the highway, and supplies had to be brought up by burros. Helen and Wes lived there for 19 years, and during this time they became aware of the Leaches’ botanical pursuits. They realized that plants fitting the description of Kalmiopsis leachiana were growing on and near their property. They wrote the Leaches, who eventually traveled to Restful Ridge to see the specimens. Ed did not have additional information on this meeting but mentioned there was occasional correspondence between his parents and the Leaches for years. Over the next 48 hours, I reveled in the botanical treasures of Restful Ridge and beyond. Iris chrysophylla (yellowleaf iris) and Calochortus tolmiei (cat’s ears) blanketed the sunny hillsides, while Arbutus menziesii (Pacific madrone) and Calocedrus decurrens (incense cedar) reached for sunlight in the dense forest. It was a thrill when Ed and Lenore led me to two populations of blooming Kalmiopsis fragrans. (You may recall from the winter 2007/2008 newsletter that the genus Kalmiopsis was reclassified into two distinct taxa. K. fragrans is endemic to a narrow segment of the Umpqua National Forest.) The first consisted of many long, trailing specimens that stretched across a rock outcropping in deep shade. The second was stunning. After a long off-trail hike through the forest, we came to a steep slope with a much larger outcropping. In areas of partial sun exposure, immense patches of K. fragrans carpeted the ground and draped from overhanging rocks. High upon the prominence, small specimens, some with only a single bloom, filled crevices under a hot sun. I realized, as I have many times before, that seeing unique plants in their natural setting far exceeds any environment we create for them in our gardens. Shortly before I left for home, Lenore emphasized that when some people visit Restful Ridge and its surroundings, they just “don’t get it”. It was hard to imagine that some visitors do not sense the palpable and meaningful convergence of memory, love, and natural treasures there. Understandably, the Davis family maintains a protective attitude toward the unique features of the landscape. It was a tremendous privilege to experience it. In the summer of 1995, I began my career in horticulture at Munsinger Gardens in my hometown of St. Cloud, MN. As I write this, I’m amused that I haven’t dwelled more on the similarities between that institution and Leach Botanical Garden. Munsinger is the site of a former sawmill, contains numerous stone structures erected by the WPA, is adjacent to the Mississippi River, and is primarily a woodland garden. There’s a certain strand of fate that attaches the origins of my career to my present position. One of the highlights of that summer was a field trip staff members took to a private garden near Long Prairie, about an hour away. The owner was a brilliant, creative old bachelor who had built a mind-blowing property. 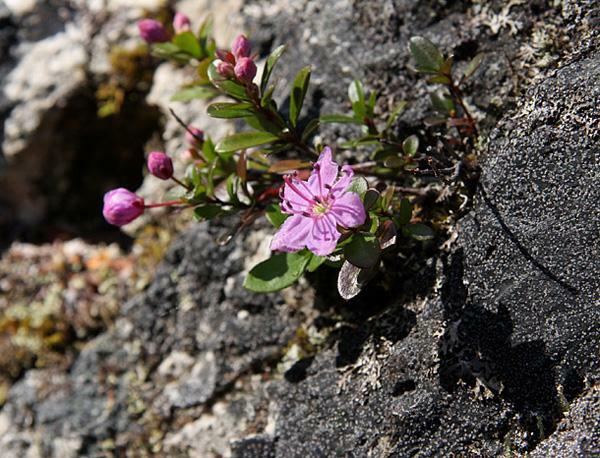 It contained an island in a modest river that held dozens of different alpine and tundra plants, many of which were propagated from seeds and cuttings he had collected. Back on the mainland, he guided us between several conifers and revealed the first lady’s slipper I had ever witnessed. It was a thrill, because despite the extensive amount of time I spent in the forests of MN, I never encountered our official state flower. We asked how he propagated it, and he confessed he didn’t. A few grew wild on his property, and on many occasions he failed to germinate their seeds, despite employing various techniques. One year he finally discovered how the seeds germinated – deer would walk around the base of the parent plant, plunging the seeds that had fallen into the soil to a particular depth. There the seeds found the ideal conditions in which to grow. I still marvel at this revelation. It illustrates the intricacy that is sometimes associated with rare plants, and how privileged humans are to become aware of such beautiful interactions in nature. ​1995 brought me another new chapter in life, for it was the year I moved to Oregon. Fresh from my immersion in flora and gardening, I began earnestly studying the wild flowers of the Pacific Northwest. And I was thrilled by the occasions when I encountered native orchids: rattlesnake plantain, striped and spotted coral root, phantom orchid, twayblade, lady’s slippers, and fairyslipper! I went to the same trail in the Columbia Gorge each March to try and find as many fairyslippers as possible. Scott Hoelscher is Head Gardener at Leach Garden.